über eine hydraulisch schaltbare Kupplung mit barometrscher Regelung. of MW-50 injection. 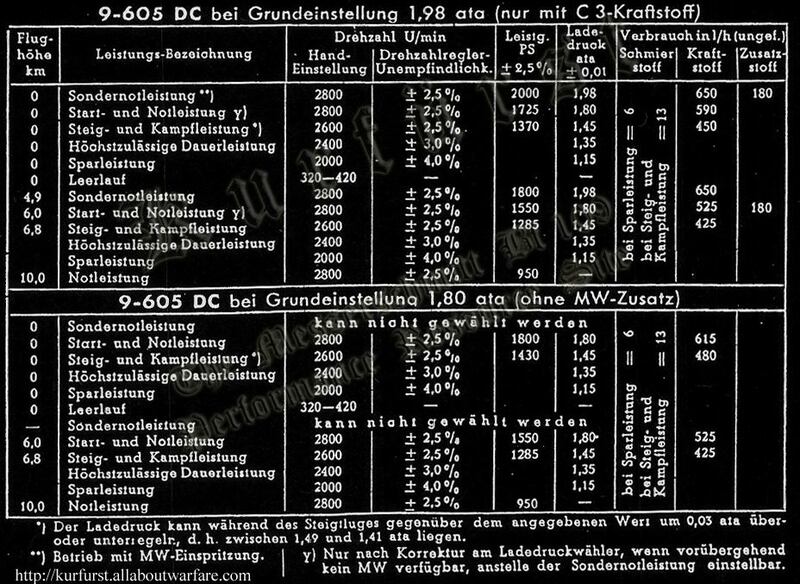 In the case of 1,80 ata Grundeinstellung, C-3 fuel could be used without MW-50 injection. OKL, GdJ-Grp. Qu-, Br. B. Nr. 1561/45 g.Kdos. von 20. März 1945. Report on the Petroleum and Synthetic Oil Industry of Germany. Section H, Testing and Evaluating Products. Ministry of Fuel and Power, 1947. Technical Report No. 145-45: Manufacture of aviation gasoline in Germany. U. S. Naval Technical Mission In Europe, July 1945. Last updated 23 August 2008.